GOG (Good Old Games) Release !!! Hra je aktualizována Updatem 4 !!! ElAmigos release, game is already cracked after installation (crack by syahmixp/SSE or GOG/DRM Free). Updated till 03.05.2017 (Update 11). 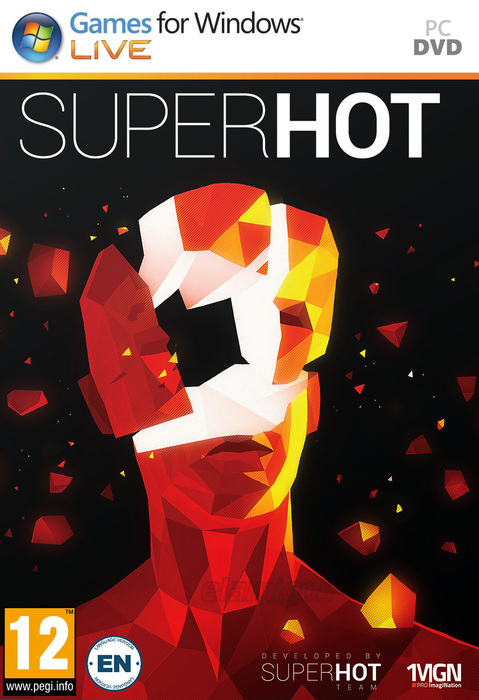 The game "Superhot" was created in 7 days by the guys from "SuperHot Team" for the contest "7DFPS". The main feature of the game is - time. Time in the game starts its turn when you start moving. Step is the time for which the enemy will approach or shoot. Proceeding from this, periodically, it is necessary to stop, look around, carefully think over further actions. Thanks to this technique of the game, you will be able to break into the hall full of enemies and effectively destroy all. This game can be called chess with elements of violence. You can feel like an invulnerable superhero who crushes everyone. The game has a function that allows you to enjoy the deeds after the end of the mission. The game is divided into levels, which facilitates the process of passing. The principle of missions is a kind of action puzzle. Often, the player will simply have to destroy the enemies. The main thing do not forget - not only enemies die from bullets, you also need one hit, there is no room for mistakes in Superhot. The game is interesting in that the bullet released in you is frozen, you should stop. This definitely adds a flavor to the game, you'll have to think about where to go next to survive.